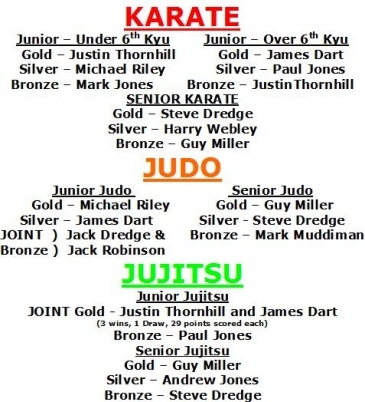 2011 has seen one new Karate Dan grade and one dan grade promotion, as well as two new Judo Dan grades and one promotion. 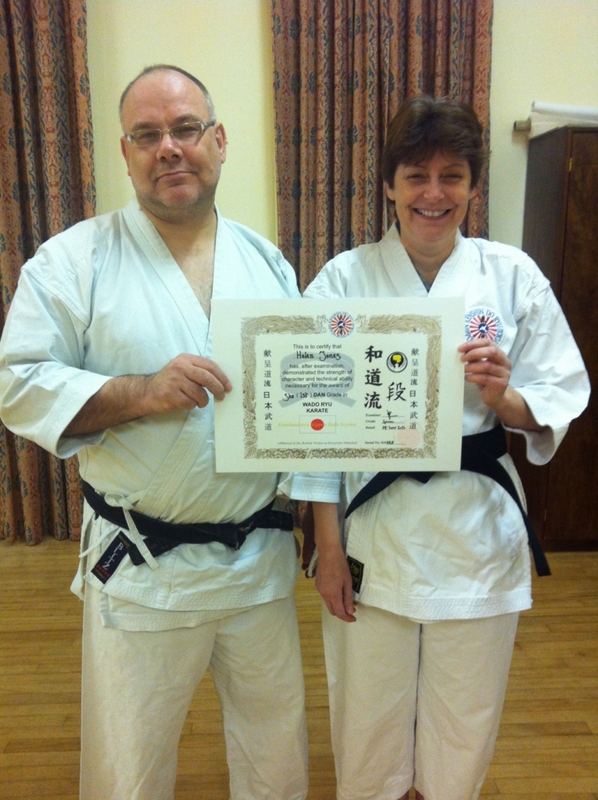 In the karate section, Helen Jones achieved Shodan in September following Sensei Dart's promotion to 5th Dan in August, while judoka James Dart (Jnr) and Matthew de la Harpe graded to Shodan in December, with Sensei Tom Williams gaining 4th Dan. 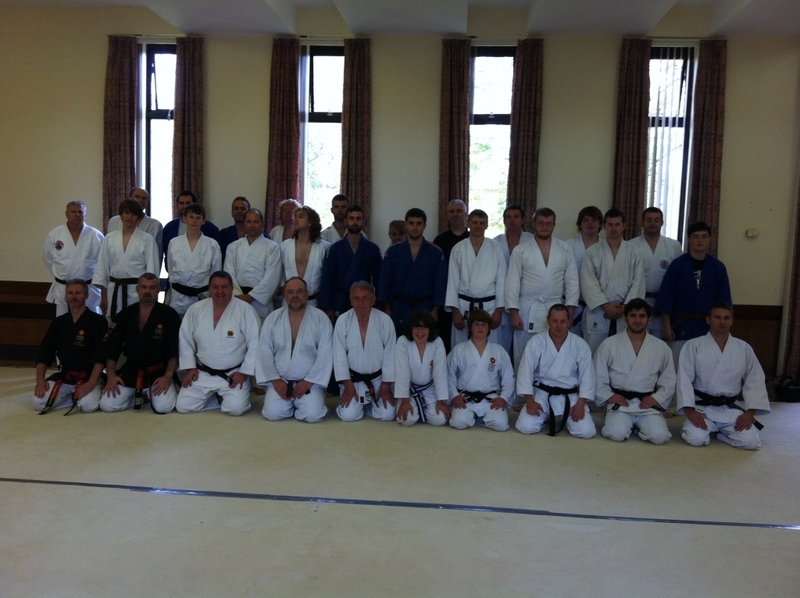 IGAS Founder Member, Kenshindoryu proudly hosted the second International Gentle Arts Society one-day seminar on 24th September, which was attended by over 30 participants from six different independent Judo and/or Jujitsu organisations. 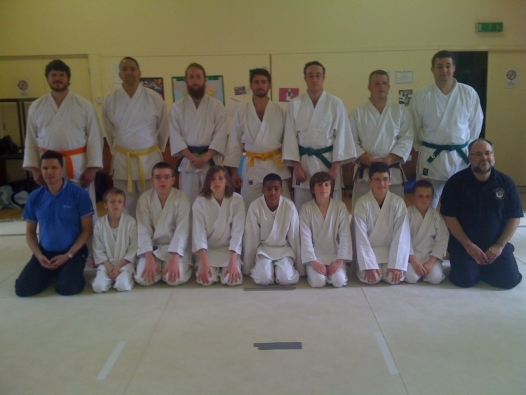 Sessions from Sensei Jim Dart, GODO Jujitsu instructors Pat Lane Renshi and Roger Knowles Renshi and AJBF UK head of Judo Dr Llyr Jones were enthusiastically received, and all attending were looking forward to the next seminar in Bognor, hosted by the Zen Judo Family, in October. 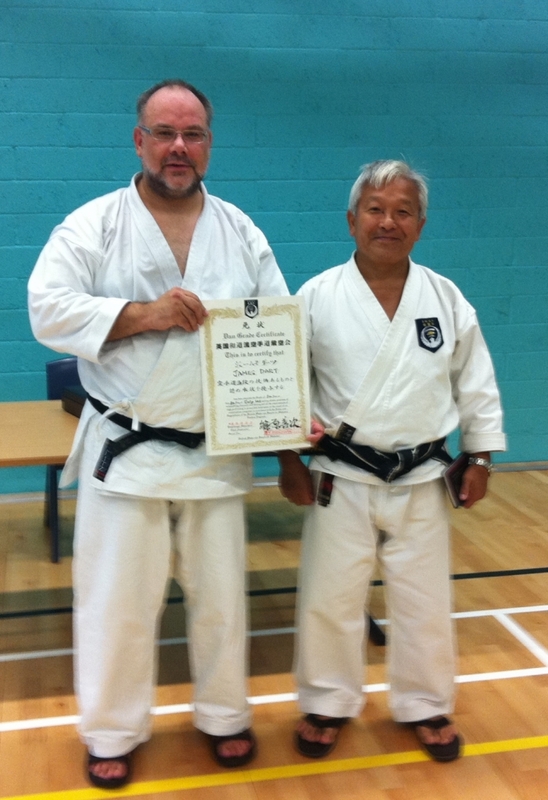 Kenshindoryu Chief Instructor, Jim Dart, was honoured to receive his 5th Dan Grade in Wadoryu Karate at the British Wadoryu Karatedo Shikukai Summer Course in London. 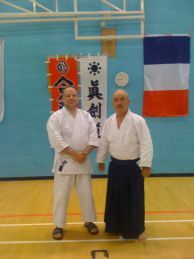 Shinohara Sensei and a panel of BWKS senior Yudansha generously adjudged Sensei Dart's efforts satisfactory and awarded only the seventh 5th Dan grade in the BWKS' 36 year history. Although the numbers at this year's course suffered slightly from the change to a date nearer the school holidays, the enjoyment of the participants and quality of instruction was as high as ever. 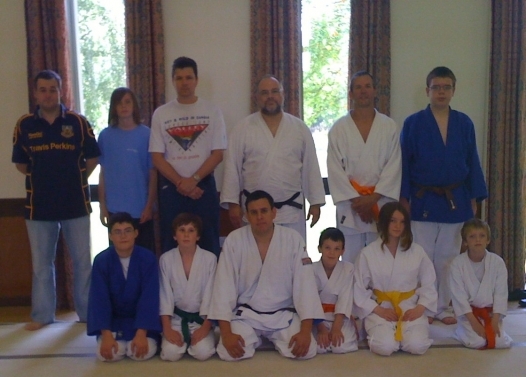 With guest instructors from the ISKK, MMA and Shinkendo/Aikibujutsu, there were sessions in Jujitsu, Aikibujutsu, Shotokan and Wadoryu Karate, Judo, Strategic Grappling, Kenjutsu and Shinkendo over the weekend, backed up with excellent catering during the course and Sensei's traditional Barbecue on the Saturday evening. 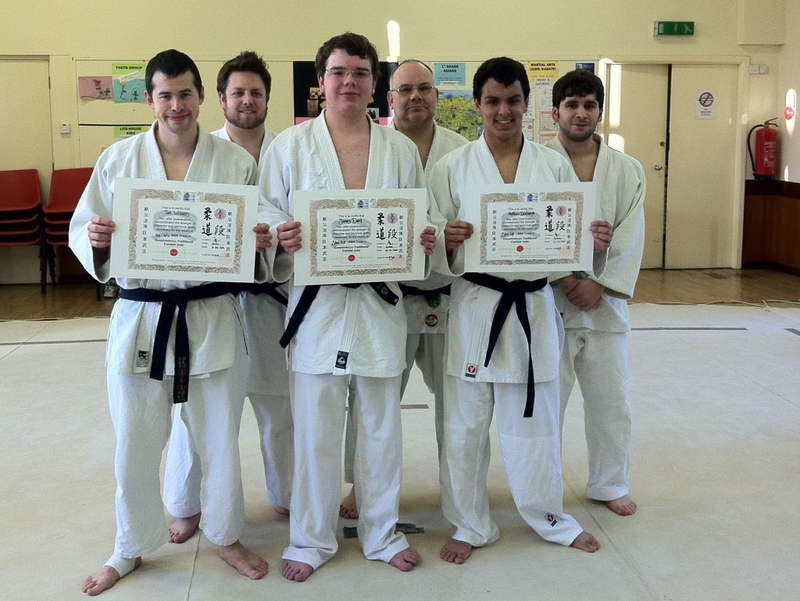 The weekend of 25/26th March saw the Honbu Spring Grading take place across all three of our core arts, with 10 candidates achieving promotion to their next grades. 12 participants were sufficiently recovered from their New Year's Eve celebrations to come along to the New Year's Day training at the Honbu, in which short 'taster' sessions of all of our arts were given to existing and prospective members. 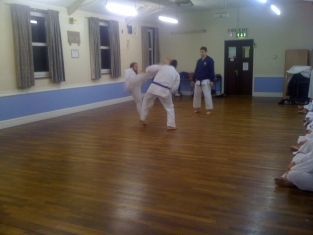 We were honoured to be joined by Sensei Byron Shepherd on the mat, who took sessions in Aikibujutsu and Shinkendo to complement the Judo, Jujitsu and Karate sessions from Sensei Dart. Additional thanks to Gail who provided (much- needed!) carbs and liquids in the form of pasties, cakes, tea, coffee and soft drinks. 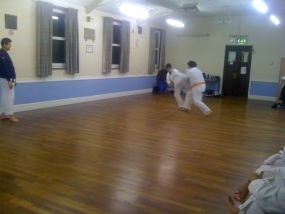 On 28th November, 6 members from the Honbu Judo section including Sensei Jim Dart, visited old (and new) friends at Thatcham Zen Judo Club. 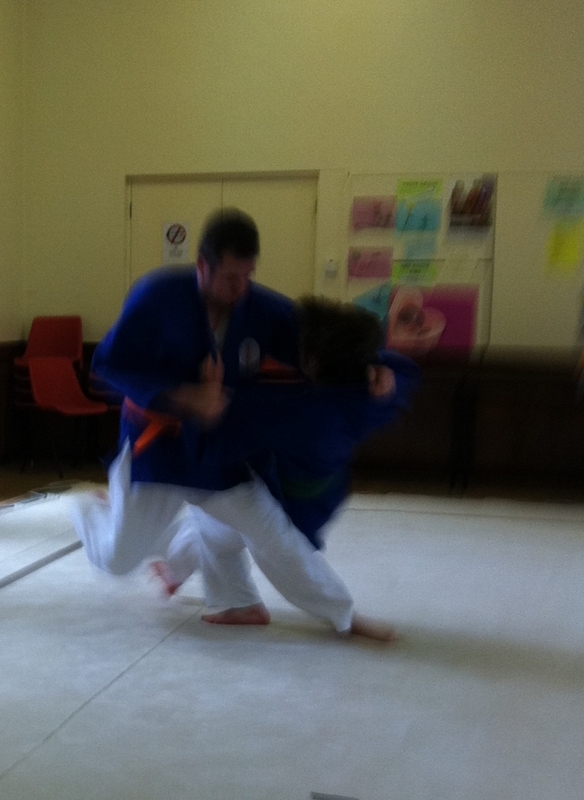 Also along was long-time member of the Kenshindoryu, Brian Mace, who has recently started training with Caroline. 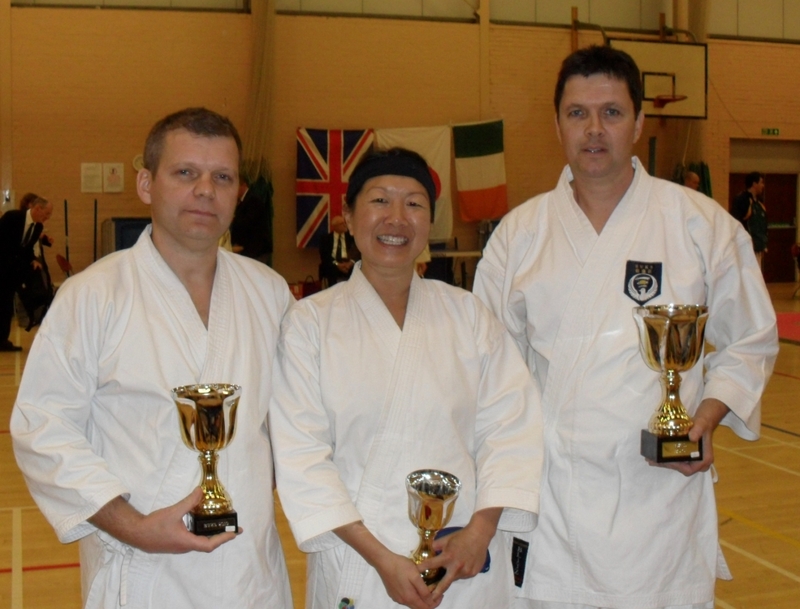 (3rd Dan) who continued a successful year on 7th November at the BWKS National Championships by taking Gold in the Masters Kata and Silver in the Senior Open Kata. 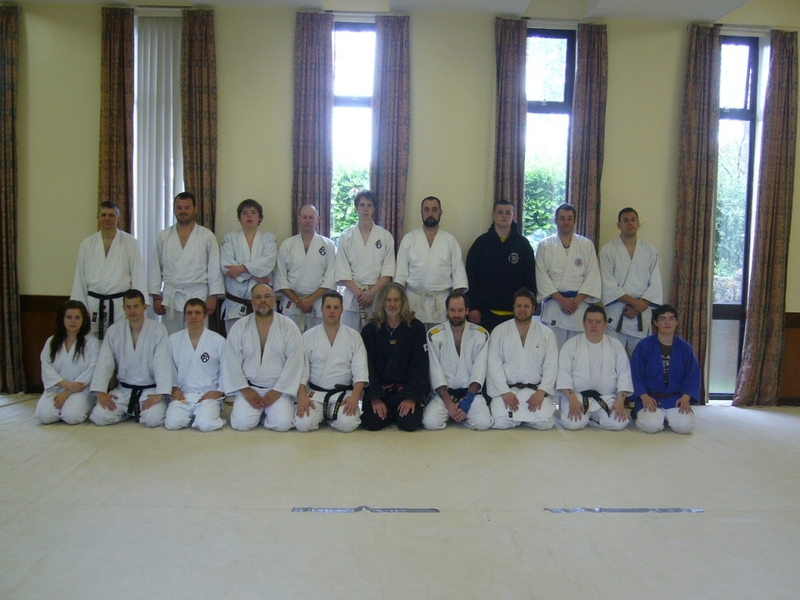 The summer course, held over the weekend of 26th/27th June attracted thirty participants from Kenshindoryu, BWKS, Zen Judo and Shinkendo. 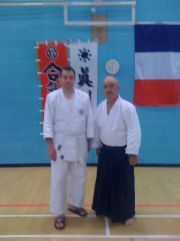 The course was 'headlined' by Shinohara Shihan, 8th Dan, who led off with an informative session on the Wado Tanto Dori. 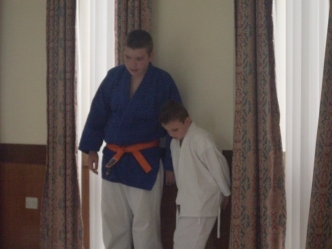 This was followed up by afternoon sessions in Shinkendo with Sensei Byron Shepherd, Jujitsu with Sensei Jim Dart, Ian Cowley with an excellent restraint and control session and Sensei Stuart Edwards showing some MMA takedown and groundfighting techniques. 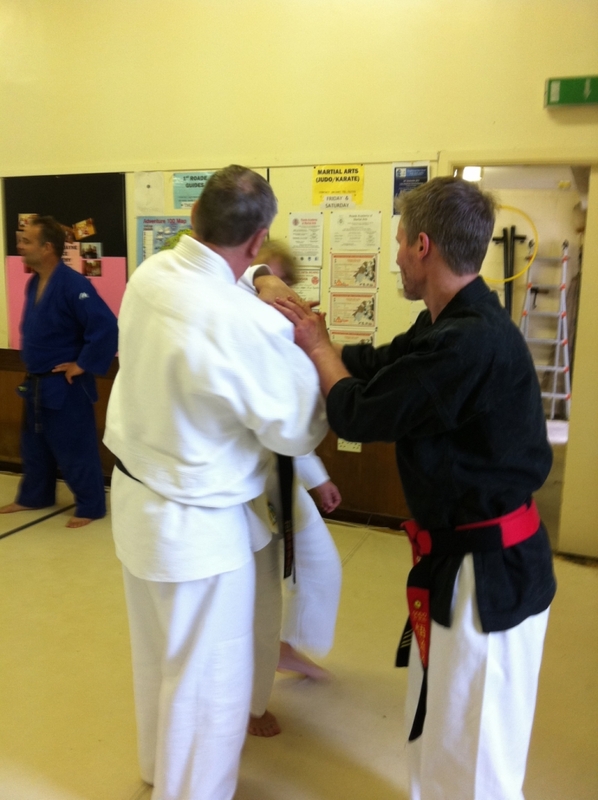 Once again Sensei Andrew Jones took members from the Milton Keynes club to compete with BWKS members at Mr Shinohara's dojo. 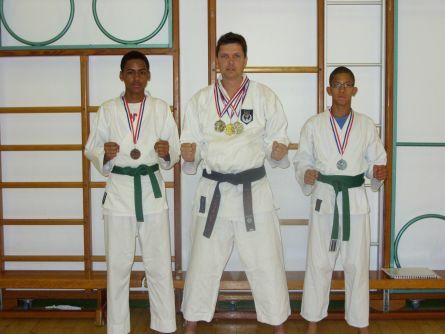 Congratulations are due to Eli Reid and Justin Thornhill, taking Silver and Bronze in their division, with Andrew scoring Silvers in both Kata and Kumite. 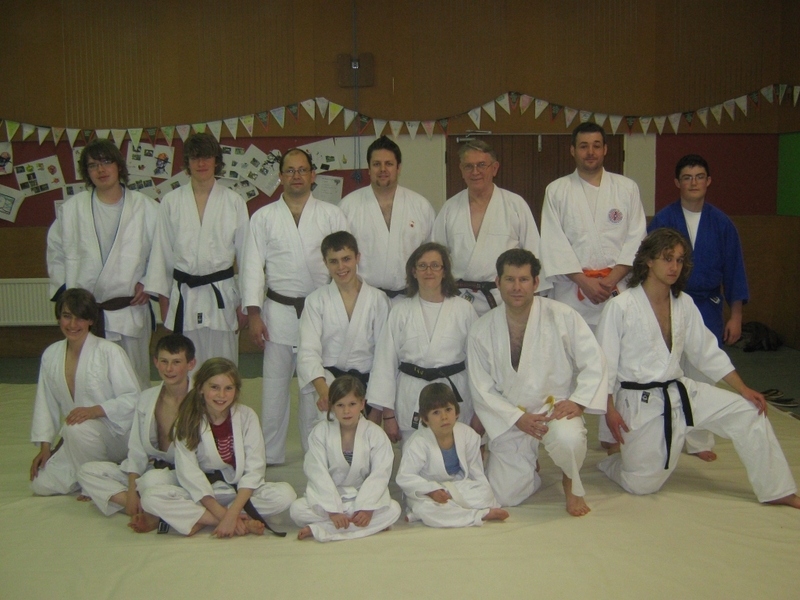 Sensei Dart joined students from the honbu dojo at a fundraising demonstration for the local church on 12th June. 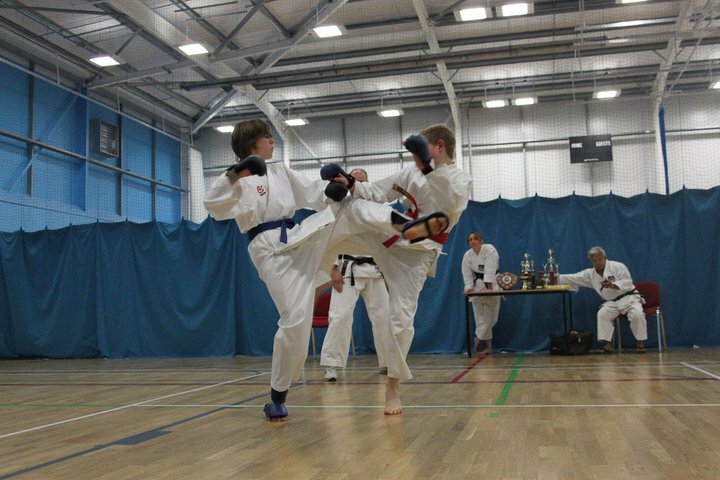 A good day was had by all participants, with a good crowd staying to watch the three sessions, covering Karate, Judo/Jujitsu and Shinkendo. 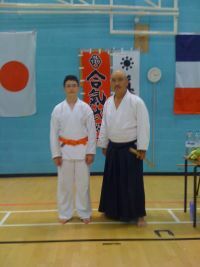 UK Shibucho, Byron Shepherd hosted the first visit to England of Shinkendo founder Toshishiro Obata Kaiso, which was attended by students from all over Europe. 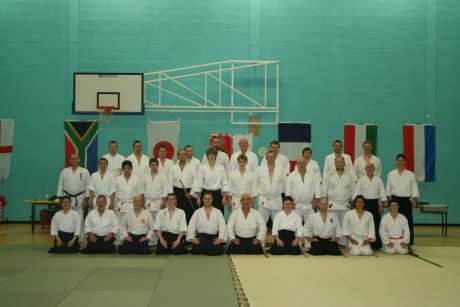 Kenshindoryu members Guy Miller, Michael Reilly and Chief Instructor, Jim Dart joined students from France, Germany and further afield in three days of top-class instruction and demonstration from Obata Sensei, whose flawless skills and seemingly limitless stamina and enthusiasm were inspirational to behold. 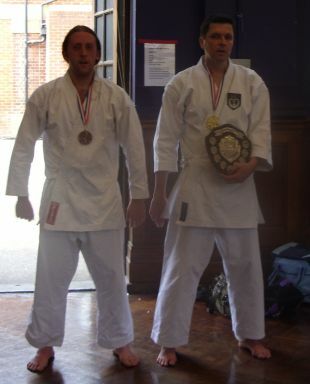 Congratulations to Sensei Andrew Jones and his student, Paul in coming first and third respectively in the BWKS Spring Shield match, held in April at Shinohara Sensei's Leyton dojo. Andrew now holds the shield until the next shield match in the summer. 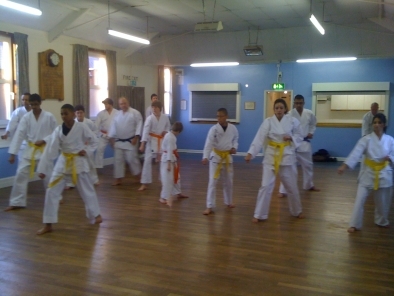 This Sunday evening saw 12 candidates gather at Sensei Andrew Jones' dojo to undertake their next grading assessment. 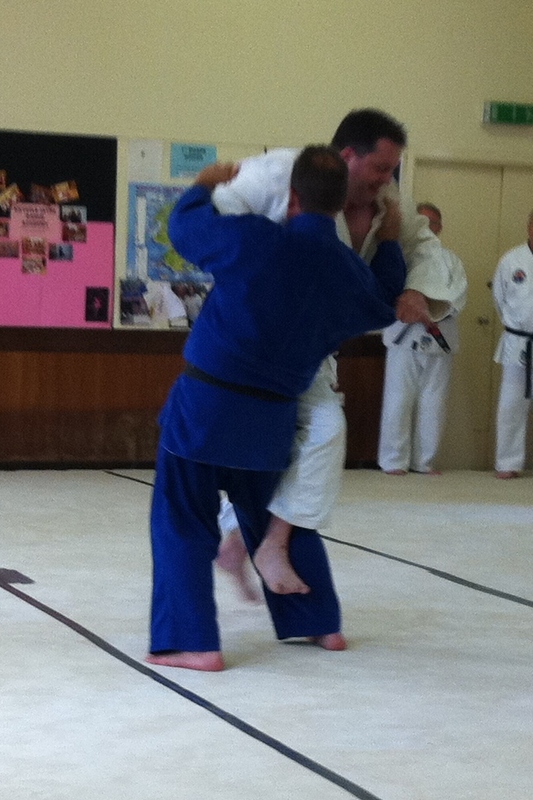 Nerves were much in evidence, as usual, but Sensei Dart did his best to relax everyone in the pre-grading lesson. 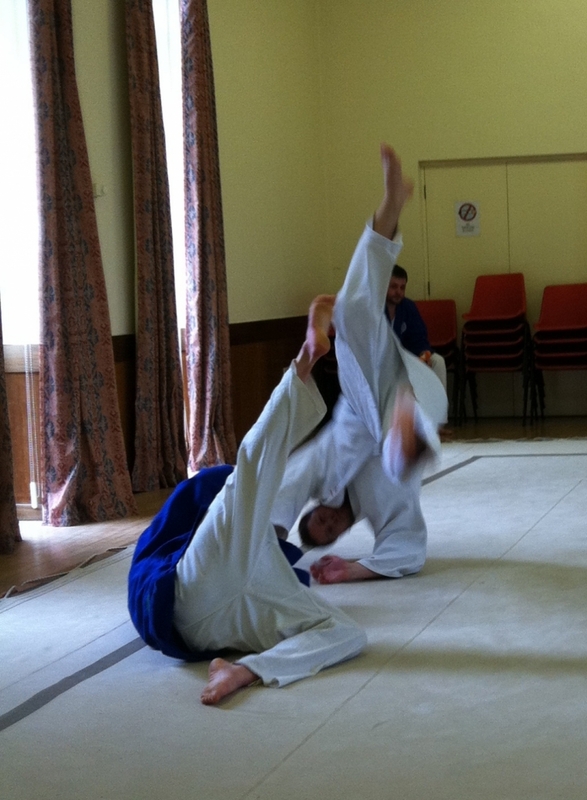 A range of grades, from 7th kyu to 4th kyu, were being examined and members put their best feet forward to demonstrate the progress they have made, all candidates being judged successful at the end of the two hour session. 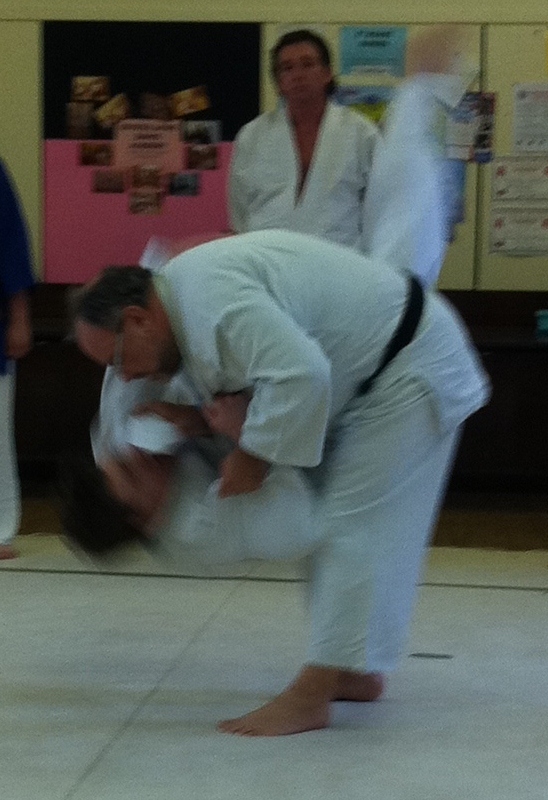 Congratulations to all participants and many thanks to Sensei Jones for hosting the event. 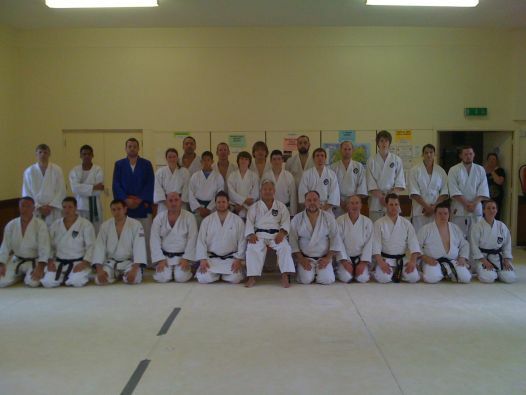 On 25th July we were delighted and honoured to host a visit by one of Sensei Dart's longest -serving students, Sensei Stuart Edwards, 2nd Dan Wadoryu, 2nd Dan Jujitsu, 1st Dan Traditional Judo. Stuart is a serving Police officer and has previously been BIKMA British Open Middleweight Jujitsu champion and South of England Open Grappling Champion, so the Jujitsu class was looking forward to his session on groundwork and take-downs with anticipation. They weren't disappointed and Stuart demonstrated his customary skill, humour and experience as he taught drills that the class members would be able to practice in the future, then provided some legal guidance on use of force and some pointers on warning and danger signs to pick up on with 'real' opponents. The afternoon ended with a barbecue back at Sensei's home which gave the club members time to unwind and chat with Stuart, as well as providing a good end of term get-together before the Honbu Summer break. 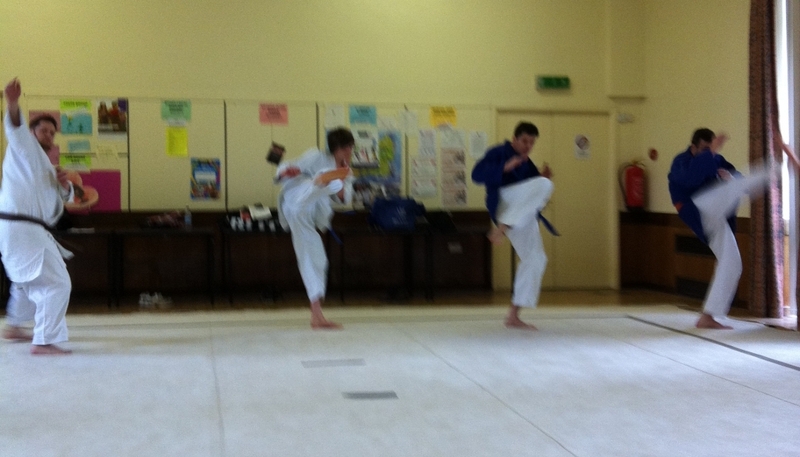 This Saturday saw the first competition run by Kenshindoryu for a number of years, as we don't specifically train for contest. With an enthusiastic bunch of entrants from all clubs, members entered into the spirit of the day by having a go in the contests of our three arts, whether they trained in them or not! The competitors showed excellent spirit throughout the day, helping, cheering and coaching each other through the 'round-robin' format of each division - sustained by refreshments provided by some of the parents - with all participants receiving a medal to evidence their courage and commitment.